Crochet is such fun, and such a portable craft, no wonder it’s so popular at the moment! Why not join a class and have a go yourself? The classes scheduled for this month are here. These friendly classes will teach you how to crochet. Each class has a maximum of 4 people. 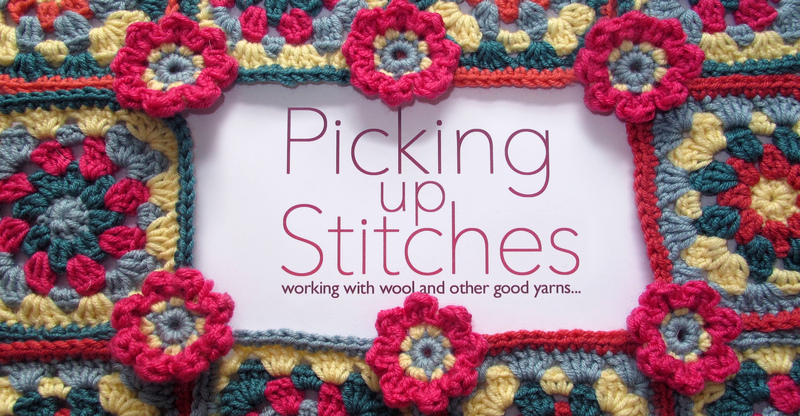 With some aimed at complete beginners, and some for those who may know just the basics, each class tackles a specific project designed to teach you basic crochet stitches and how to combine them, plus how to read a pattern and a chart, and how to complete a project. For all the classes hooks and yarn will be provided to use at the lesson, and at some, yarn for purchase. There are full details about the projects and what each uses in case you wish to purchase your own yarn and hooks in advance here. You will be given full written instructions to take away from each class. 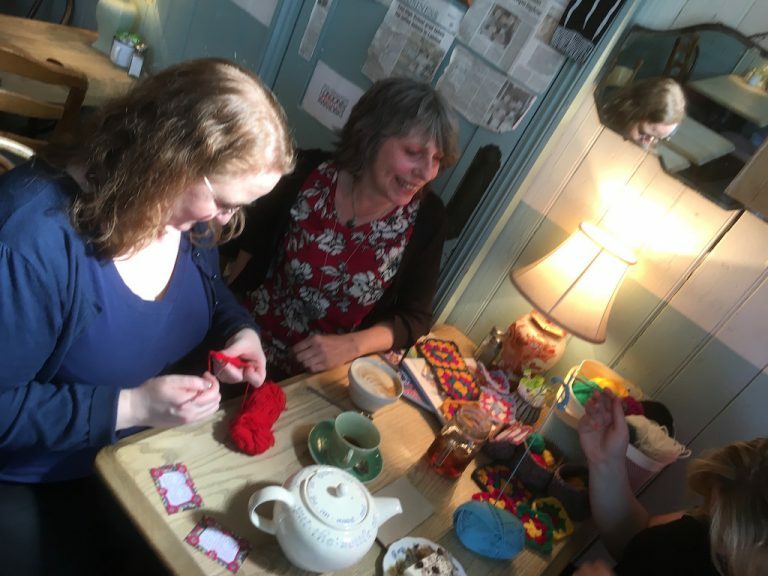 The Crochet and Coffee classes take place at cafes around Crouch End including The Haberdashery cafe at 22 Middle Lane, Crouch End N8 8PL. Also at the cafe of Arthouse Cinema in 159a Tottenham Lane, N8 9BT. Also at Elsie’s Cafe at 10 Priory Road, Hornsey N8 7RD. The cafes will be open so you will be able to grab a coffee, soft drink or alcoholic tipple (or even a slice of cake). The evening Crochet and Coffee classes take place at The Arthouse Cinema, or The Queens pub in Broadway Parade, Crouch End N8 9DE. The pubs/bar will be open, so if you don’t want to buy a coffee, you have a choice of all the usual pub tipples too!